My Father Was A Sailor is the ambitious concept album from Vancouver’s North Atlantic Explorers. 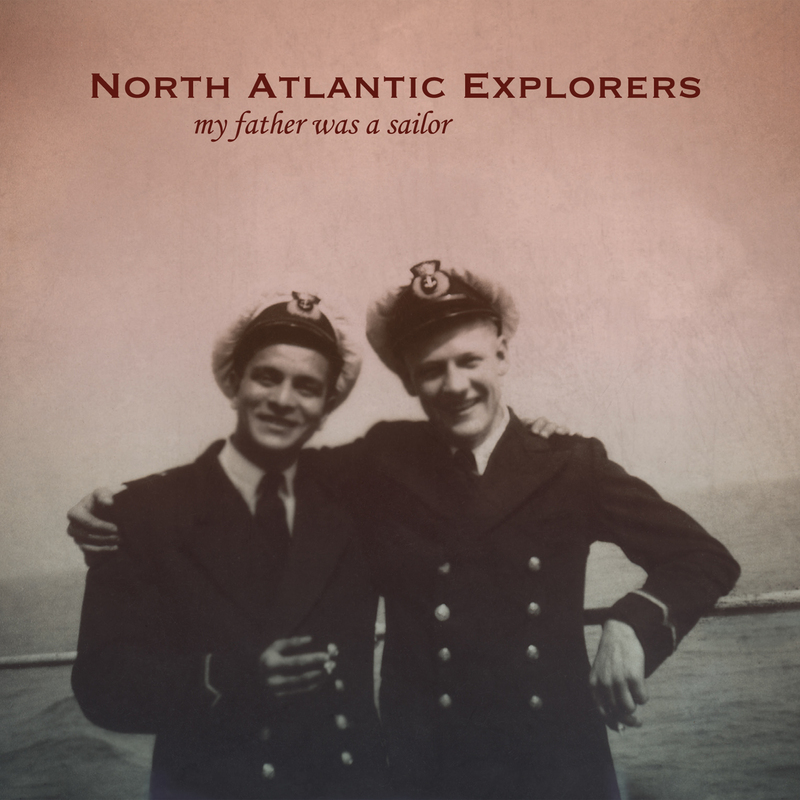 It’s a collection of nautical-themed songs inspired by Glenn D’Cruze’s late father’s life at sea with the British Merchant Navy. Its highlights include a full choir singing multi-part harmonies, a horn section featuring JP Carter (Destroyer, Dan Mangan) and narratives by Stuart David (Belle & Sebastian, Looper). Though some of these sea-themed songs were written before Glenn’s father William D’Cruze recently passed away, they took on new meaning after he died which inspired additional songs about the sea, his life and the afterlife – and the transition between the two. There’s a laid back 1970’s vibe, a theatrical quality and a prevailing undercurrent of sadness and beauty flowing throughout the record while retaining the atmospherics and layers of melody from its predecessor, the critically acclaimed Skylines. Both albums were recorded with Jonathan Anderson (Aidan Knight, Jordan Klassen, In Medias Res). My Father Was A Sailor was played by Glenn and Jonathan with a horn section and was sung by Glenn with a fourteen person choir. Scotsman Stuart David contributes gale warning and shipping forecast narratives on The Sailor & The Stenographer and Hebrides, Bailey, Fair Isle respectively. Also included is a cover of South written by Mark Powell & Lupe Núñez-Fernández of European indie pop duo Pipas. Watch the Album Trailer & videos filmed throughout Scotland and aboard an Icelandic cargo ship on the wintery North Atlantic/North Sea by filmmaker Greg Gillespie and read Sailing To Another Planet, a journal of Glenn and Greg’s voyage.